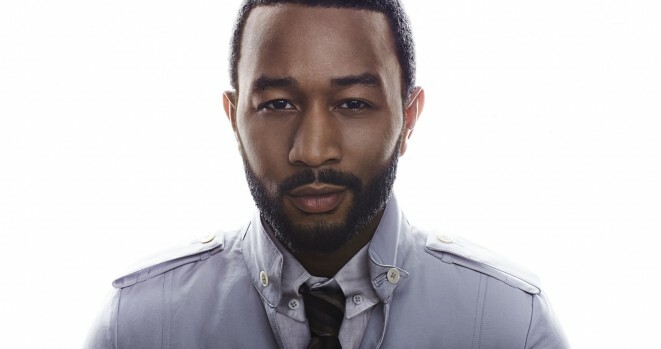 Many would agree that John Legend‘s lead single, “Made to Love,” seems to reflect perfectly the mood and vibe of his latest album, Love in the Future. The R&B veteran tells ABC News Radio the title alone lets fans know exactly where he’s at in his life. With a fall wedding looming, the crooner didn’t have to look to far to find inspiration. The 34-year-old explains why he had no qualms about sharing his tender love ballad “All of Me,” which was inspired by his fiance Chrissy Teigen, with the rest of the world. John says that as an artist “it’s not difficult to go there” when it comes down to releasing personal songs, adding that it’s often necessary to make a great song. The secret recipe that completes Love in the Future is the work of John’s trusted friend and frequent collaborator Kanye West. The singer revealed that having ‘Ye co-produce the entire project seemed to have elevated the recording process. Love in the Future is available now. The set marks his fourth studio effort and the first since 2008’s Evolver.